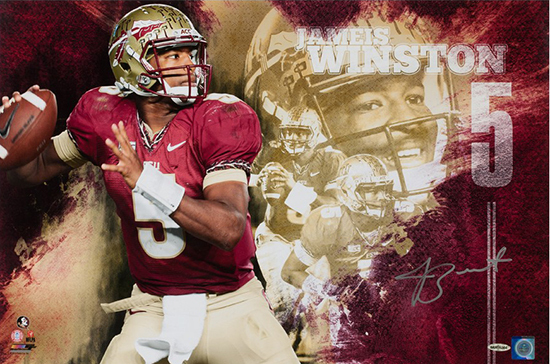 Upper Deck Adds Jameis Winston to the Team for Autographed Memorabilia! Jameis Winston led the Florida State Seminoles to a BCS National Championship victory his freshman year while also earning a bevy of awards including the most valuable college player. His sophomore season he continued his dominance making him the #1 Draft Pick in the 2015 NFL Draft. 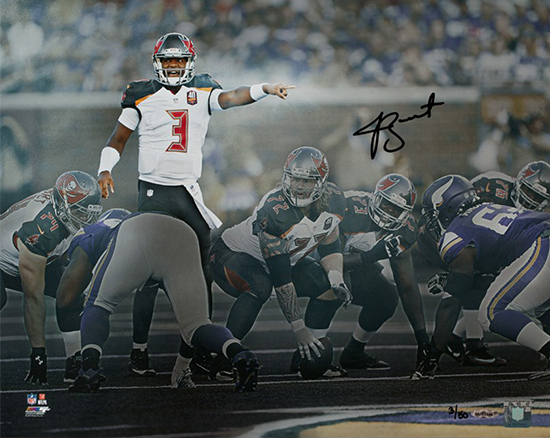 He was thrust right into the fire with the Tampa Bay Buccaneers and has performed admirably his rookie season. He is on track to shatter rookie records for the quarterback position for the Bucs and he is working to become a leader in that locker room. Now Winston joins the Upper Deck team to lend his signature to a variety of innovative new collectibles that are sure to be prized possessions to fans. 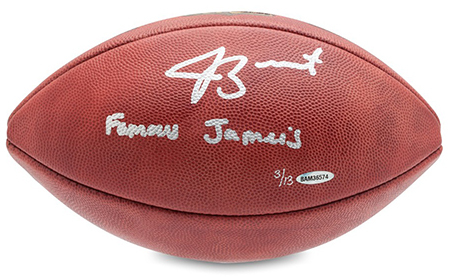 Football fanatics can look forward to finding the new collection of Jameis Winston autograph collectibles from Upper Deck Authenticated on www.upperdeckstore.com now! 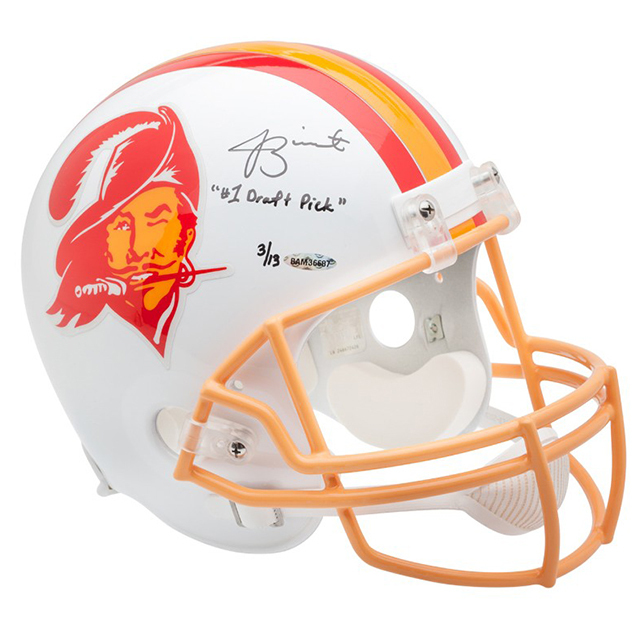 Fans will definitely enjoy the selection of both Florida State and Tampa Bay Buccaneer items available from this rookie star. Many of the items are very limited in nature and include unique inscriptions signed by Winston. Don’t miss out on these premium collectibles from one of the game’s future stars!